There were no more medals for Ireland on the last day of competition at the Paralympics in Rio de Janeiro. 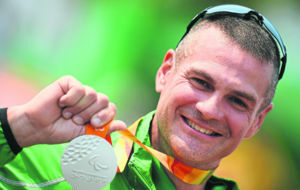 Paddy Monaghan was the only Irish athlete in action yesterday, taking 16th in the T54 (Wheelchair) marathon. Two medals came on Saturday. 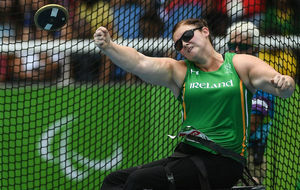 Noelle Lenihan claimed Ireland’s third medal in the Discus, this time in the F38 category. Earlier in the week there Discus silver medals from Orla Barry (F57) and Niamh McCarthy (F41). This was in no small way due to the hard work done with the girls by Throws coach David Sweeney. The Dublin-based Derry man only came in little over twelve months ago but the fruits of his work have already been seen in Rio and at last year’s IPC World Champs in Doha. 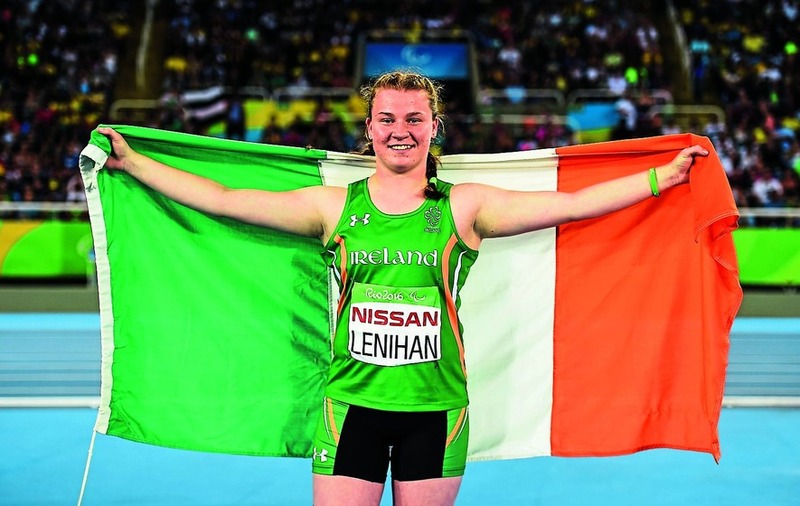 Lenihan opened in spectacular style by setting a new Paralympic record of 31.71m with her first throw to go immediately top of the leaderboard. Unfortunately, the 16-year-old was unable to build on that opening effort and was overtaken by China’s Mi Na and Shirlene Coelho of Brazil. “The competition was tough but there was a great atmosphere from the crowd, which really help with the performance,” said Lenihan who went on to recognise the support she received from her father. Katie-George Dunlevy and Eve McCrystal added a silver medal in the Women’s B Road Race to their gold in the Time Trial earlier in the week. The Irish pair broke away from the field along with the Polish competitor, soon opening up lead of 20 seconds that stretched to 45 at one point. Although they could not keep pace with the Pole, Dunlevy and McCrystal managed to hold on to second spot, some 59 seconds behind Poland’s Iwona Podkoscielna. “I knew on the first hill we were faster than the majority of those bikes,” said Dunlevy. There was disappointment elsewhere as an exhausted Damien Verecker dropped out of the Men’s B Road Race when leading the field. Verecker and his pilot Sean Hahessy went off like the proverbial bats out of hell and established a massive lead of 1 minute and 40 seconds at the halfway mark. However, shortly afterwards, Verecker fell victim to his own impetuousness as fatigue gripped his every sinew. Peter Ryan and Marcin Mizgakski did manage to get home, finishing 12th as the Netherlands’ Vincent Ter Schure rode an even paced race to take the gold medal. Sailors John Twomey, Austin O’Carroll and Ian Costelloe ended a disappointing week for them with a 14th, and last, in the final Sonar race. That left them 13th in the final analysis after being considered one of Ireland’s stronger medal hopes going into the Games. 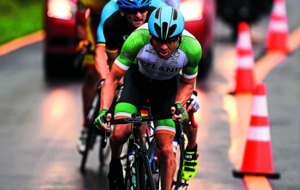 “It was probably not the way I wanted to finish up with that last race, but we put in a good campaign,” said Twomey. Overall it has been fantastically successful Games for Team Ireland, who have won a total of 11 medals; four golds, four silvers and three bronzes. Jason Smyth and Michael McKillop maintained their status as stars of Paralympic sport with victories in the T13 100m and T37 1500m respectively. That was Smyth’s third successive Paralympic 100m gold, bringing his total to five, Michael McKillop’s 1500m was his second in a row, making it four overall. Both are young enough to add to those totals at Tokyo in four years time. 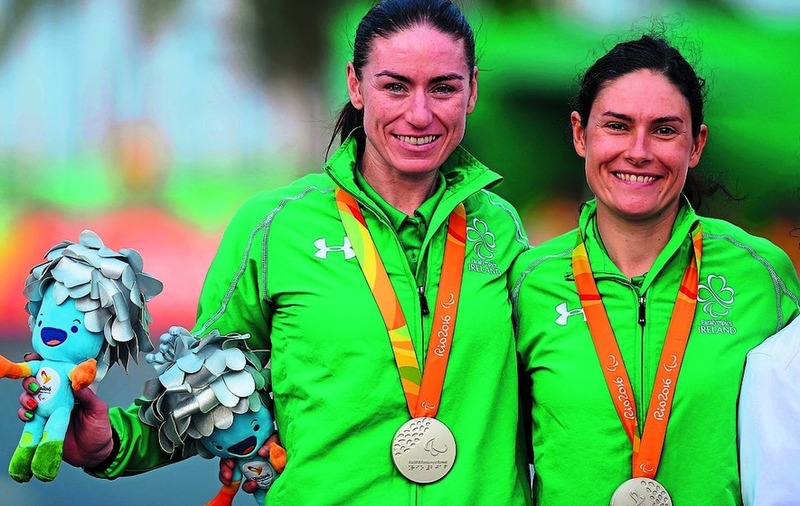 However, it was Ireland’s cyclists and discus throwers who stole the show Katie-George Dunlevy and Eve McCrystal pairing secured two medals, winning gold in the Time Trial and silver in the Road Race. Eoghan Clifford also bagged a brace of medals, taking gold in the C3 time trial after his bronze in the individual pursuit and Colin Lynch claimed silver in the C2 time trial. The three Cork woman Orla Barry, Niamh McCarthy and Noelle Lenihan all won athletics medals to add to the golds of Smyth and McKillop. Ellen Keane was the best of the swimmers capping her reaching multiple finals by winning a bronze in the 100m Breaststroke. But it was 14-year-old girl Nicole Turner, the baby of the team, who captured hearts with her enthusiasm and seemingly endless stamina. Turner qualified for the final in all five of her events and was unanimously selected to be Ireland’s flagbearer at the closing ceremony.